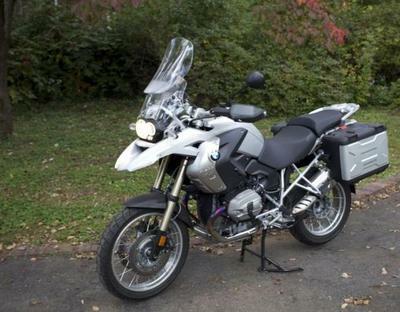 The 2012 BMW R1200GS for Sale is a 2012 BMW R1200GS Adventure that is loaded with extras including a BMW aluminum top and side cases, an extra-large powder-coated skid plate, LED turn signals, Touratech sidestand foot and more. Factory options include: LARGE 8.7 gallon fuel tank, large windshield, tremendous load capacity, heated grips, clear turn signal lenses wire wheels, cylinder head guards, hand protectors, stainless steel engine protection bars, fog lights, Enduro ASC Automatic Stability Control (both road and off-road settings), Enduro ESA (electronic suspension adjustment, on-board computer with TPM - Tire Pressure Monitor (RDC). 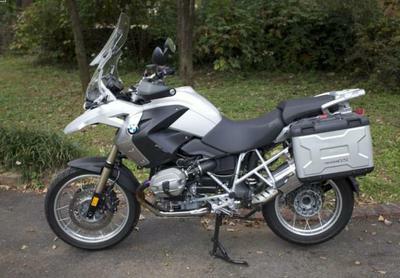 The BMW GS Adventure is a Global Touring motorcycle built on the R1200GS platform. 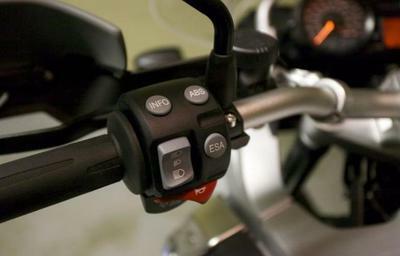 The R1200 is powerful and strong with switchable ABS, a 110 hp, counter-balanced, double overhead cam boxer engine and Tele-lever front suspension. This motorcycle has more than 8 inches of suspension travel at both front and rear wheels! 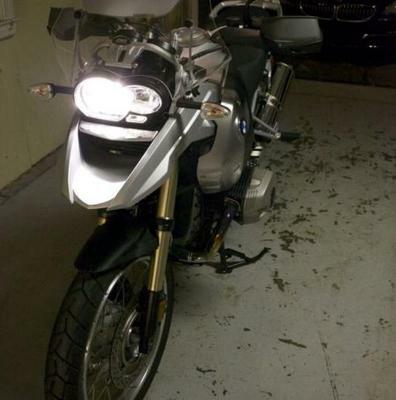 If you have any questions regarding the R1200GS for sale or if you would like to make an appointment to see it in person or make payment and pick up you can call me using the number I have posted below and when you call please remember to mention that you found my bike on GoGoCycles Used Motorcycles for Sale . In my opinion there is not a better deal on a used motorcycle seat for sale as this one Near Sacramento CA California, on Craigslist or on Ebay. GoGoCycles would also encourage our biker friends to write a review of the Like New Used 2 Piece Mustang Seat for Sale or share any thoughts and/or opinions to make potential buyers aware of any problems that are commonly associated with this brand or to highlight its positive features and help our visitors make informed decisions. The price I have on it, $17997, is a very good price and it probably will be gone fast so call me (no e-mail)916-726-7three34 before it's gone and don't forget to mention that you found this ad on GoGCycle's Motorcycle Classifieds www.gogocycles.com using the comments forms located on this page.